When Medora Espy moved to Oysterville, Washington, as a toddler in 1902, the remote little village was long past its heyday. The population had dwindled and times were hard. Chores such as stacking wood, gathering eggs, chasing stray cows, and weeding the garden taught children responsibility and self-esteem. Frolicking in the shallow, warm waters of Willapa Bay, tramping hay in the loft and organizing crab bakes at the beach served as childhood amusements. Occasionally, a major event such as a shipwreck, a fire, or an escapade by one of the town’s more colorful inhabitants brought a modicum of excitement. 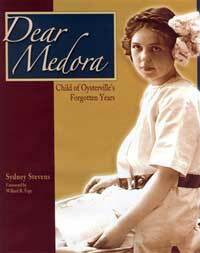 Dependable, devoted, and tender-hearted, Medora was the oldest child of Helen Richardson Espy (“Mama”) and Washington State senator and dairy farmer Harry Albert Espy (“Papa”). Due to family circumstance and to Oysterville’s geographic isolation, the Espys were frequently separated from one another for lengthy periods of time in the years that Medora was growing up. 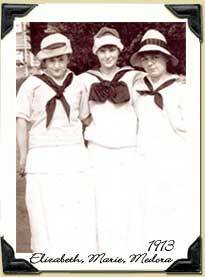 During these periods of absence, it was the daily correspondence between Mama and Medora that kept the family informed and the household running smoothly. 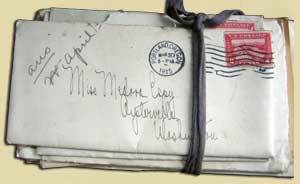 The letters have been kept for a century and more – treasured keepsakes from a bygone era that, today, lend insight into the customs and beliefs of one American farm family during the early twentieth century. The author, daughter of Medora’s youngest sister, Dale, places the letters in the context of their time, gently taking readers into the Espy home and inviting them to participate in the life of this remarkable family. The richly illustrated book beautifully exemplifies the use of primary non-traditional women’s history sources to tell an important story. The book can be ordered through Washington State University Press, through your favorite independent bookstore, or by clicking the affiliate link to Amazon.com to the left on this page. By clicking this link to make your purchase, Sydney Stevens will receive a commission. As a modern-day member of the book’s accomplished Espy family, author Sydney Stevens could easily claim bragging rights when she interjects her own voice from time to time. Instead, it’s as if she stands unobtrusively in a corner of the family home—at the ready if an explanatory word is needed, but otherwise invisible. …Reading this book, initially you’ll be thankful for what seem like basic necessities today—automatic washing machines and instant auto ignitions, for private telephones and hot-water taps. But, slowly, you’ll envy the imagination, wit, resilience, and cheer it took to carve out a warm and loving family life on the isolated shores of a cold bay on the western edge of our continent not even a century ago.